Did you watch the clip? We can’t hold this conversation until you do. I know, I know, I know, you’ve seen the movie. C’mon, who hasn’t, Scrooged was a phenomenal movie (remember that word it will come into focus later). No, the focus today is this particular clip from Scrooged. It’s a bit zany and over the top. It does a great job of showing the levels that he is going to go to bring viewers to his Christmas special. And the add he shows is one of the most sensationalistic forms of advertisement in existence. Of course, he ups the ante through the movie as well. Like the moment in time when he finds out that the commercial causes an old lady to have a heart attack. He uses that as part of the publicity for the show. Insane right. Which brings me to the thoughts I have been working through lately. What follows are some article titles I collected in about a 5-minute sweep of Facebook one night. I gathered these from Facebook because it tends to be an easy search but also it is somewhat of a litmus test of what we can find through the rest of the Web. The greater population of possibly the world is connected in some way and we can see a sampling of the things that drive culture there. Basically, you can find all sorts of stuff like these through search engines and popular magazines with no problem, that is how common it has become. BUDDY RICH INSANE DRUM SOLO IT DOESN’T GET ANY BETTER THAN THIS!! When we look at just the wording of these article titles we can see a pattern. They are sensationalistic, and designed to draw the viewer into them. Some might see this as a good thing. But at the same time, words have meanings and power. Take some of the choice words out of these; Shocking, Amazing, Insanely, Cringeworthy… etc. These words push the value of the articles over the top. For the most part I am sharing them essentially the same way I found them as article titles. So the one that is all caps, with exclamation points is pushing that line even more. We are set into a time where everything we see and do is the biggest, baddest, bestest of everything that came before it. Everything is epic. There isn’t a moment where we are given a chance to breathe. Everywhere we look earth shattering information and images are shoved in our face. And we wonder why we have reached a state of apathy? When everything we do is cutting edge, everything is the absolute best, we are driven beyond the point of reason to see anything as normal. We can’t accept the mundane as something worth our time or effort. We lose sight of what holds real value within our interactions. Because when everyone is Super, then no one is Super (The Invincibles). There is talk all the time, in the news, in the population, on every side of debate, that we have lost touch with our lives and each other. The crazy thing is, we have been searching for so long, for that perfect and earth shaking moment that we no longer even recognize it when we see it. We as a culture have become jaded to the good things in our lives. I can’t say that I remember when the epiphany struck me, but it had been within the past week or so that this scene from Scrooged jumped into my mind. So I looked it up and all of a sudden, everything clicked. Our lives have become nothing more than a side show huckster’s playground. For a long time, I compared much of what happened around the turn of this century to what I knew of the history around the turn of the last century. History runs in circles. Sure, the specifics are never the same, but there are other similarities that happen to close the loops. One of the interesting repeats I am seeing is the return of the hucksters. At one point you could have found on late night TV, hucksters selling revolutionary products geared to change your life. Oddly, a good number of these products were just reimagined versions of similar products from the early 20th century. Patterns repeating. I have a feeling that Billy Mays is looking in on the world from what ever afterlife he has fallen into and he is laughing. Fiction doesn’t shape our world. Fiction is a fun house mirror image of the world we live in. The scary thing is, that fun house mirror image is far too close to the reality we find ourselves in. The trick to surviving it all is taking the lesson from the mirror and readjusting the reality around us. Build your shelter because they will always take the nuclear option. I grew up reading comic books, science fiction, fantasy, and horror (you know, the stuff that “real” literature claims to be beneath their graces). But when you consider that it seems a bit odd doesn’t it. I mean to say that when you consider the subject matter of speculative fiction, it can run a dark gamut. We have people facing tremendous odds and suffering in ways we imagine only in the darkest places in our minds. But, this is the place where we see a difference. In such things we see people fighting against overwhelming odds, fighting battles they have no chance to win, but they fight on anyway. Sometimes they win, sometimes they lose, but they still fight against their situations to overcome the things that endeavor to keep them down. And so you might say that sure that’s well and good for the fantastical, but it doesn’t fit in with real life, which is why such things are not literature. You see there is a snobbery that says that literary things deal with the real so some such nonsense (but this is an entirely different discussion). Here’s the thing, there are are a couple stories right off the top of my head that fit into literary but they encapsulate the ideals of the hero fighting against the odds, win or lose. The first is Old Man and the Sea by Hemingway. I loved this book. The old man fought against nature tooth and nail to save the fish. Sure by the end he lost most of it to the creatures he had battled but still he fought on. He could have died trying to save what he had worked for, and still he fought on. 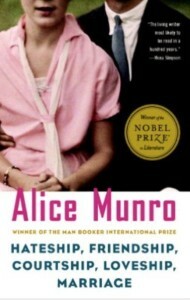 And then there is “Hateship, Friendship, Courtship, Loveship, Marriage” by Alice Munro. In this particular story, the main character has everything going against her. Hell, even the relationship she thinks she has through letters is a fabrication that could hurt her psychologically. She still carries through and does what needs to be done to make it all work out. In the end she wins but against all odds that simply stated, should have kept her from ever succeeding. I realized something even after I wrote, briefly, about these two stories. 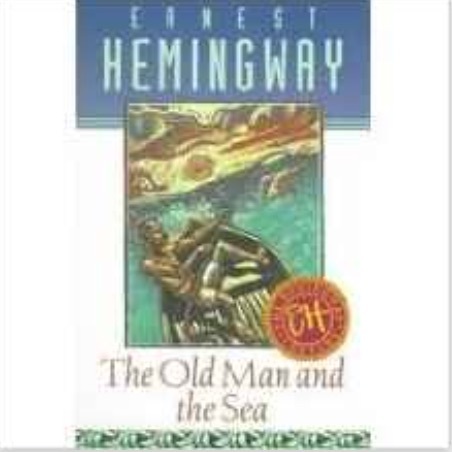 Ernest Hemingway is marked as being a misogynist. This is something that comes through quite a bit of his writing. At the same time Munro is known for being a misandrist. These two people are essentially polar opposites. But in each of their stories we see people that are pushing beyond what they should be able to do. It isn’t about winning or losing, it is the quest for hope that matters. It is these trials that we find the hope that we ourselves can move past our situations. And this has been the conversation lately. You see in this sensationalistic environment it has become anathema to show the heroes. Instead it is the villains and the tragedy that sells news, sells the narrative. No longer is it worthy to be famous for doing what is right, but so much better, we can become infamous for doing whatever the hell suits our fancy. The song gave us a bad ideal to follow, “If it makes you happy, it can’t be that bad…” unless of course your bliss is to gun down the world around you. The excuse of happiness can only carry you so far. We need to embrace the ideals of heroes once again. We need to embrace the idea of hope. These are the things to strive for. When we follow those who strive for a better world then we in turn become those who others follow in the drive for a better world.